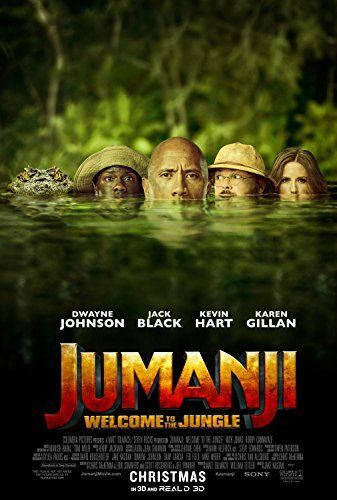 In 1996, in Brantford, New Hampshire, picking up from the previous film's ending, teenager Alex Vreeke receives the Jumanji board game, found by his father on a beach after it was thrown over a bridge by Alan Parrish and Sarah Whittle 27 years prior. Alex sets the game aside, asking himself, "Who plays board games anymore?" That night, the game, taking advantage of Alex's interest in video games, magically transforms into a video game cartridge which catches Alex's attention when he is awakened by the Jumanji drums. As he plays it, he is transported into the game. Read more on Wikipedia.